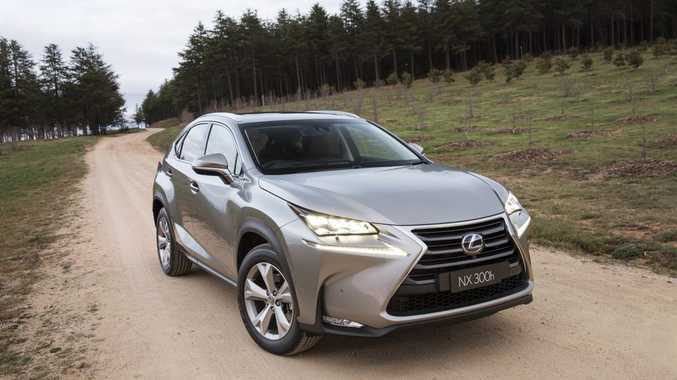 LEXUS dealers have been desperate for the new NX compact SUV. Now on sale from $55,000, buyers have been lining up to get hold of one. More than 300 fans had put down deposits before going on sale officially yesterday, and it's a vital offering for the brand in Australia. With about one in 10 cars sold now wearing a premium badge, including the likes of BMW, Mercedes-Benz, Audi, Land Rover and Lexus, it's vital the big players have a quality performer in the fast-growing SUV segments. That makes the timing of the new Lexus NX pivotal. "In 2005 just 100 (sales) could be attributed to SUVs," Lexus Australia chief executive Sean Hanley said. "Today that is approaching 1500 per month, which equates to 18,000 luxury SUVs per year." Mr Hanley said Australia's growing appetite for luxury cars is due to improving affluence as well as the improving affordability of premium offerings. "Never in the history of Australian motoring has to access to luxury vehicles been so achievable. We call it the democratisation of luxury," he said. 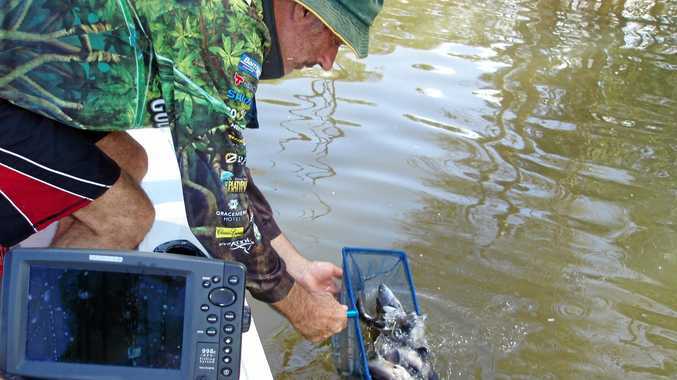 "We have a NX model range that cannot be ignored by customers looking to spend in the order of 40 to $90,000. "We are seeing the highest level of conquest in new luxury customers of any vehicle we have launched in the recent past." In launching the NX, Lexus is calling this the "Goldilocks" of SUVs - it's size is "just right". The dimensions have it straddling the small and medium segments, able to comfortably accommodate four adults. For now it's only available with a hybrid powertrain until next year when it will be released with Lexus' first 2.0-litre turbo petrol. Details: Five-door mid-size two and all-wheel drive sports utility vehicle. Engine: 2.5-litre Atkinson cycle four-cylinder petrol generating maximum power of 114kW @ 5700rpm and peak torque of 210Nm @ 4200-4400rpm, and an 105kW (147kW combined) and 270Nm electric motor with nickel metal hydride battery. Consumption: 5.6 litres/100km (2WD, combined average), 5.7L/100km (AWD). CO2: 131g/km (2WD), 133g/km (4WD). Performance: 0-100kmh in 9.2 seconds. Bottom line plus on-roads: Luxury $55,000, Luxury AWD $59,500, F-Sport $66,000, Sports Luxury $75,000. 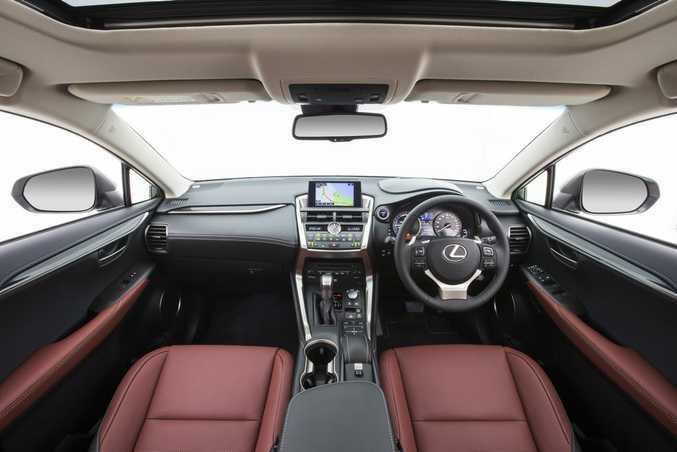 Inside the new Lexus NX Sports Luxury model.